Each year the Chicago-Kent Library Blog hosts reviews to commemorate Banned Books Week. Our first staff contribution this week comes from From Gwendolyn Osborne, Director of Public Affairs. Gwen will be leaving Chicago-Kent at the end of this week for a new position with the Smithsonian’s National Museum of African American History and Culture in Washington, D.C., which is scheduled to open next year. We will miss her and her many contributions at Chicago-Kent! 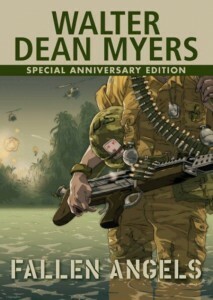 Fallen Angels is Walter Dean Myers’ eye-averting young adult novel about dreams deferred and the realities of war. Written in 1988, it is the story of Richard Perry, a bright Harlem high school student who dreams of going to college. When a basketball injury destroys his chance of paying for college with a sports scholarship, Richard enlists in the Army just as the war in Vietnam is escalating. The book has been banned for its profanity and graphic depiction of war. 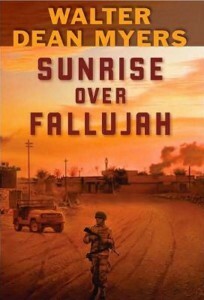 In 2008, Myers published Sunrise in Fallaujah, a sequel to Fallen Angel. The novel offers a post- 9/11 look at war through the eyes of Richard Perry’s nephew, Robin, a soldier in Iraq. Walter Dean Meyers has been named National Ambassador for Young People’s Literature and has received two Newbery Honors, five Coretta Scott King Awards, and was the inaugural recipient of the Coretta Scott King-Virginia Hamilton Award for Lifetime Achievement. 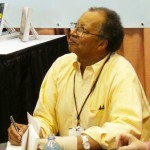 He has won more awards than any other young adult author, starting with the Council on Interracial Books for Children contest in 1969, which resulted in the publication of his first book, Where Does the Day Go?. This entry was posted in Banned Books Week and tagged banned books week. Bookmark the permalink.